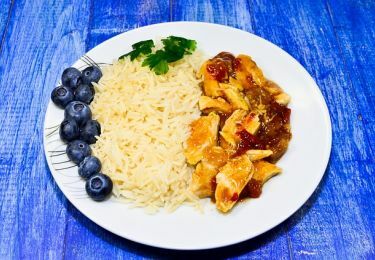 Rice, specifically white rice is one of the more controversial topics in nutrition. 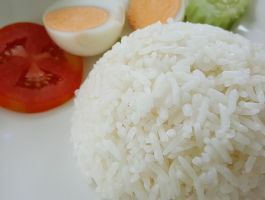 The question often boils down to: are there benefits of eating rice or are they just empty calories? A number of nutritionists will tell you to avoid eating it. While some say that moderation is fine. Then there are studies linking rice consumption to the risk of diabetes. But ironically, Asian populations, especially the Japanese, who include rice in almost every meal, are among those who live the longest. Rice comes in wide variety. The most common and popular of all is white rice. However, you’ll also find brown rice which has a bit more of the hull. This is because it hasn’t gone through as much refining as white rice has. 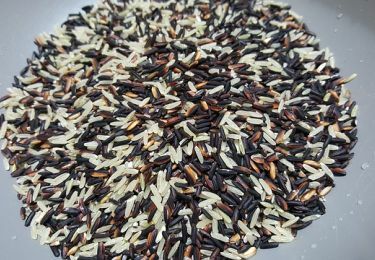 Depending on where you shop, your grocery store may carry a wide array of rice varieties including wild rice, basmati and jasmine, just to name a few. Here are some of the reasons adding rice to your diet can help you. Even though people go on low carb diets or no carb diets to lose weight. Carbohydrates are imperative for your body to have energy. Carbohydrates are metabolized by the body and turned into usable and productive energy. Rice is packed full of carbohydrates making it a vital source of energy. The other components of rice such as the organic components, minerals, and vitamins increase your metabolism and improve the function of your body’s organ systems. This also greatly increases your energy levels. Whole grain rice and brown rice are both highly rich in fiber. The high fiber content can help to relieve constipation. Although, you must also drink plenty of water for the rice to effectively alleviate your constipation problems. The insoluble fiber in rice is also said to protect your body against various types of cancer. Specifically, intestinal cancer and colon cancer. Scientists and medical research have proved that rice that is rich in insoluble fiber protects against cancer. It protects against the development of new cancerous cells and the transformation of normal cells into cancer causing cells. Another health benefit is that rice contains no bad cholesterol, no sodium, and no harmful fats. Rice is considered to be a superfood, rich in nutrients and vitamins with no harmful effects on your health. At least unless you overeat it. But that goes to say with just about most foods. Rice is used as a food to treat people who are struggling with their weight or considered to be obese. It can help you gain weight if you’re underweight. Or, can assist in your weight loss program as well. Also, cholesterol is bad for the health of your heart, a vital organ. Rice contains no bad cholesterol making it a heart healthy food. Many people cannot tolerate gluten. This leaves them missing many vitamins, minerals, and nutrients that are found in foods that they cannot eat. These vitamins, minerals, and nutrients are essential to the overall health of your body. Being that rice is a gluten free food, people allergic to gluten are still able to get the vitamins and such that their body needs to have. Vitamins are an essential factor for your body’s health. Vitamins promote the overall function of your body’s organ systems, stimulates the body’s metabolism, and are an essential element in the health of your immune system. Rice is an excellent way to get the vitamins and minerals your body needs including Vitamins B and D, niacin, fiber, calcium, riboflavin, thiamine, and iron. Sodium causes a person’s veins and arteries to constrict which ultimately leads to stress on the cardiovascular system. Too much of it results in increase of a person’s blood pressure. Rice is a food that is super low in sodium so it is proved to be a good food choice for people who suffer from high blood pressure. High blood pressure can lead to more severe health problems such as a stroke or a heart attack. 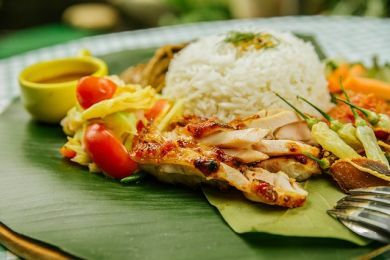 Since sodium is known for raising a person’s blood pressure level, rice is definitely a food that should be an essential part of a person’s diet who suffers from high blood pressure. The biggest knack on rice is that it is a starchy food. And being that, it contains a good amount of sugar. According to the USDA Nutrient Database, one cup of white rice contains 45 grams of carbohydrates. While this is helps give us the fuel source that our bodies need for energy, eating too much of it on a regular basis also can cause our blood sugar levels to spike up. With carbs, we have 2 types, simple and complex. Simple carbohydrates are sugars and starches that the body breaks down and digests. It’s what turns into glucose which we use for energy. Complex carbs meanwhile, also get turned into our body’s source of energy. However, they don’t digest or break down as quickly. This makes them healthier in that they don’t cause as much spikes in our blood sugar. According to nutrient databases, white rice has a glycemic index that runs anywhere from 60 to 75. Glycemic index (GI) is a scale that helps us measure how fast a food is digested by the body. And, how that food affects our blood sugar levels. The GI scale runs from 0 to 100 with 100 being the highest. With GI, the lower the better. The lower the number the less spike in blood sugar that food causes. This makes it less harmful to our bodies. White rice unfortunately has a high GI rating, so eating it in moderation is a good idea. Brown rice does fare a bit better at around 50 to 70. But not by much. The advantage of brown rice over white rice is that its fiber content helps slow down digestion. This not only blunts the increase in our blood sugar after eating it, but also helps keep us from feeling hungry longer.